Bright and cheerful, 4 bedroom, 2 bathroom home located on the lake in a gated community. 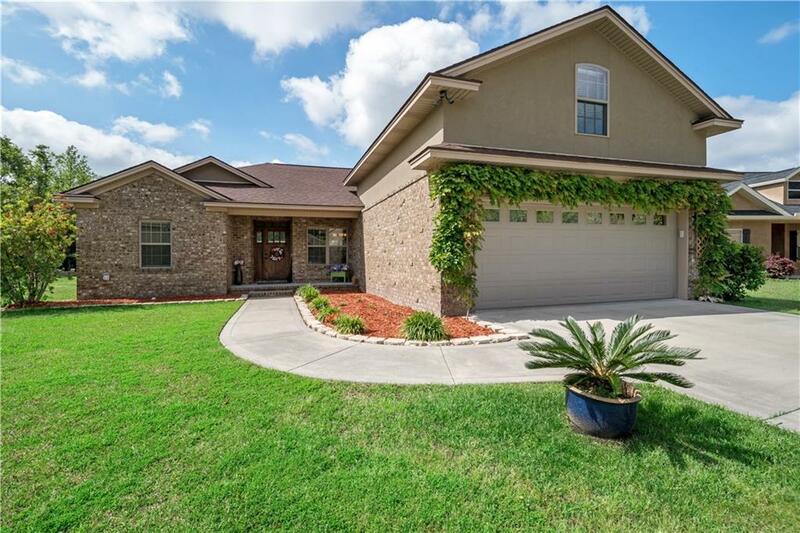 This home has numerous upgrades throughout, features a split floorpan, a bonus room/extra bedroom upstairs, large laundry room, both a dining room and a breakfast area, and has high ceilings. The large screened-in porch overlooks the beautiful lake in Satilla Sands and it backs up to a green space owned by the HOA. The sellers recently bought an adjoining lot, making this one the largest in the neighborhood. This beautiful home is move-in ready and is waiting on its' new owners so be sure to see it! Directions: From I95, Take Exit 29. Go West On Hwy 82. Turn Left At Light On Hwy. 17. Go Approximately 2 Miles. Satilla Sands Will Be On Your Right. Upon Entering The Neighborhood, Turn Right Onto Sand Dollar Way. House Will Be At The End Of The Culinary-De-Sac On Your Right.